Vise versa, in an uptrend a trend line acts as support, when price returns back to support level it bounces off forming a new up-move. 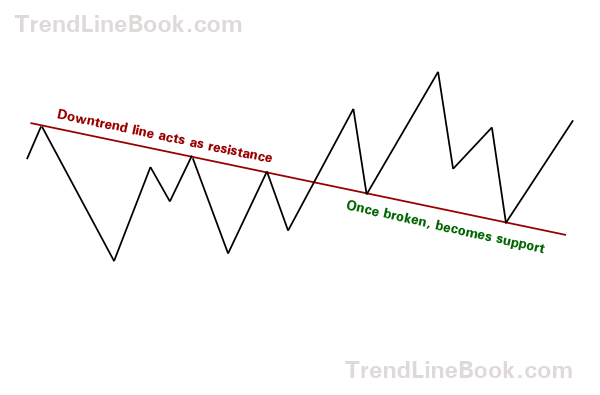 If an uptrend line gets broken, it becomes new resistance. 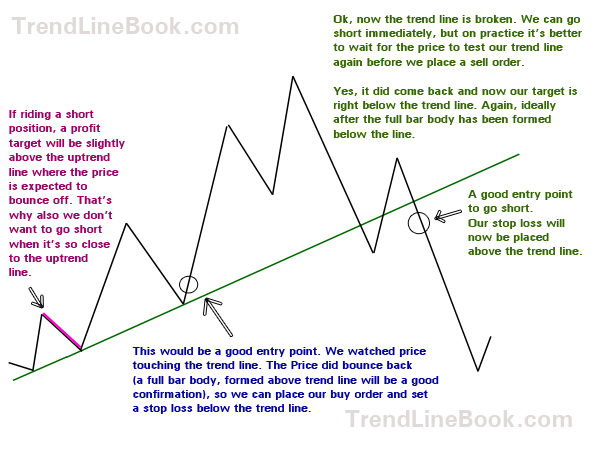 Now let's take a look when and where to enter or exit the market using Forex trend lines.